The Golden Lion Awards is proud to partner with regional musicians to provide student filmmakers with rights to their music for film scores or music videos. Over the next several months, we will continue to add to our growing list. The Music Resource Center is a multifaceted teen program that uses recording and performing arts, as well as life skills mentoring to create a sense of empowerment & accomplishment in the urban community. All music is written, performed, and produced by Cincinnati teens. Before downloading music, make sure your read and agree to all terms and conditions, protecting your rights as a filmmaker and MRC students’ rights as musicians. By submitting this film, I (“GLAHSFF Applicant”) agree that the Members of the Music Resource Center (“MRC”) may use this film for their portfolios and resumes. I understand that I cannot use MRC music outside of the GLAHSFF unless both the MRC Member and me agree to outside use of these purposes in writing. I acknowledge that I have credited the MRC Member for the use of the MRC Member’s musical stylings in this film. I understand that MRC Members have agreed to credit me for any use of my film submission. I acknowledge that MRC Members own all rights of every kind to the musical stylings, including copyright and all other intellectual property rights and that such rights shall be and remain vested with MRC Members. I understand that MRC Members acknowledge that I own all rights of every kind to the film and photo productions in my submission, including copyright and all other intellectual property rights and that such rights shall be and remain vested with me. GLAHSFF Applicant and MRC Members jointly grant each other license to use their original works in the Golden Lion Awards High School Film Festival and/or for their portfolios and resumes. 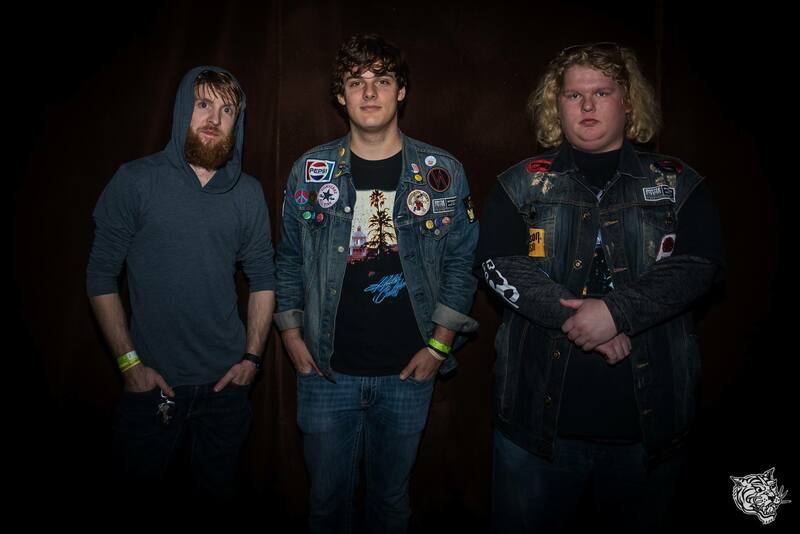 Seth Canan & the Carriers is a three piece rock group formed in Covington, Ohio. Before downloading music, make sure your read and agree to all terms and conditions, protecting your rights as a filmmaker and the band’s s rights as musicians. By submitting this film, I (“GLAHSFF Applicant”) agree that Members Seth Canan & the Carriers (“SC&C”) Members may use this film for portfolio and resume use. I understand that I cannot use SC&C music outside of the GLAHSFF unless both the SC&C Members and me agree to outside use of these purposes in writing. I acknowledge that I have credited the SC&C for the use of the SC&C’s musical stylings in this film. I understand that SC&C Members have agreed to credit me for any use of my film submission. I acknowledge that SC&C Members own all rights of every kind to the musical stylings, including copyright and all other intellectual property rights and that such rights shall be and remain vested with SC&C Members. I understand that SC&C Members acknowledge that I own all rights of every kind to the film and photo productions in my submission, including copyright and all other intellectual property rights and that such rights shall be and remain vested with me. GLAHSFF Applicant and SC&C Members jointly grant each other license to use their original works in the Golden Lion Awards High School Film Festival and/or for their portfolios and resumes. Listen to and Download Seth Canan & the Carries Music on iTunes. Mermaidica (Jessica Whitely) is an aspiring Christian Pop singer from Cleveland, Ohio. She has written and conducted 12 mix and mastered originals. Before downloading music, make sure your read and agree to all terms and conditions, protecting your rights as a filmmaker and Mermaidica’s rights as a musician. By submitting this film, I (“GLAHSFF Applicant”) agree that Mermaidica /Jessica Whitely (“M/JW”) may use this film for portfolio and resume use. I understand that I cannot use M/JW music outside of the GLAHSFF unless both M/JW and me agree to outside use of these purposes in writing. I acknowledge that I have credited M/JW for the use of the M/JW ‘s musical stylings in this film. I understand that M/JW has agreed to credit me for any use of my film submission. I acknowledge that M/JW owns all rights of every kind to the musical stylings, including copyright and all other intellectual property rights and that such rights shall be and remain vested with M/JW. I understand that M/JW acknowledges that I own all rights of every kind to the film and photo productions in my submission, including copyright and all other intellectual property rights and that such rights shall be and remain vested with me. GLAHSFF Applicant and M/JW jointly grant each other license to use their original works in the Golden Lion Awards High School Film Festival and/or for their portfolios and resumes. 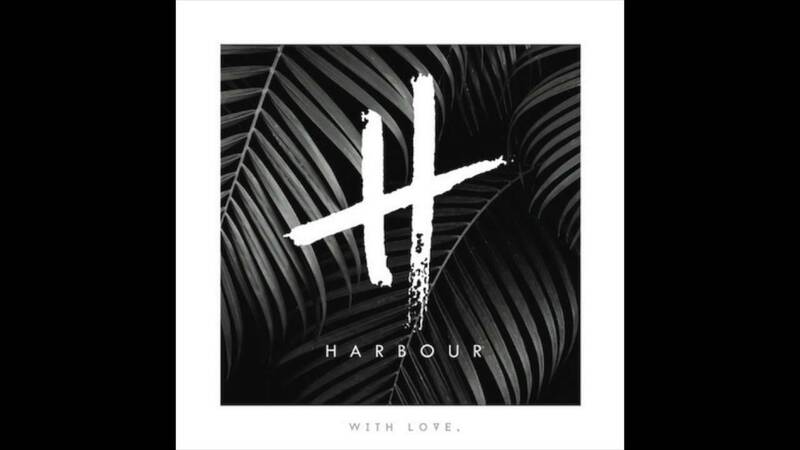 Harbour is a 5-piece indie/rock band. Since its formation in early 2014, the band has achieved numerous successes, including winning The Underground’s Battle of the Bands, showcasing at the Bunbury Music Festival, and releasing its debut, full-length album, Harbour, all within its first year. 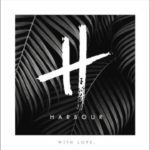 Since then, Harbour has released the EP, With Love, and its latest album, Heatwave. By submitting this film, I (“GLAHSFF Applicant”) agree that Harbour Members may use this film for portfolio and resume use. I understand that I cannot use Harbour music outside of the GLAHSFF unless both the Harbour Members and me agree to outside use of these purposes in writing. I acknowledge that I have credited the Harbour for the use of the Harbour’s musical stylings in this film. I understand that Harbour Members have agreed to credit me for any use of my film submission. I acknowledge that Harbour Members own all rights of every kind to the musical stylings, including copyright and all other intellectual property rights and that such rights shall be and remain vested with Harbour Members. I understand that Harbour Members acknowledge that I own all rights of every kind to the film and photo productions in my submission, including copyright and all other intellectual property rights and that such rights shall be and remain vested with me. GLAHSFF Applicant and Harbour Members jointly grant each other license to use their original works in the Golden Lion Awards High School Film Festival and/or for their portfolios and resumes. 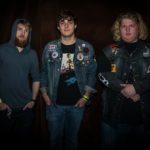 The Interns is a 4-piece band that brings together pop, rock, and funk in a new and unique way. The Interns consist of Zach Erhardt on vocals, Kyle O’Connell on guitar, Andrew Stuart Howsmon on bass, and Chase Stock on drums. In December of 2015, The Interns recorded its first full length album, A Bit About Us, at The Monastery Studio in Walnut Hills. By submitting this film, I (“GLAHSFF Applicant”) agree that The Interns Members may use this film for portfolio and resume use. I understand that I cannot use The Interns music outside of the GLAHSFF unless both The Interns Members and me agree to outside use of these purposes in writing. I acknowledge that I have credited The Interns for the use of The Intern’s musical stylings in this film. I understand that The Interns Members have agreed to credit me for any use of my film submission. I acknowledge that The Interns Members own all rights of every kind to the musical stylings, including copyright and all other intellectual property rights and that such rights shall be and remain vested with The Interns Members. I understand that The Interns Members acknowledge that I own all rights of every kind to the film and photo productions in my submission, including copyright and all other intellectual property rights and that such rights shall be and remain vested with me. GLAHSFF Applicant and The Interns Members jointly grant each other license to use their original works in the Golden Lion Awards High School Film Festival and/or for their portfolios and resumes. Listen to and Download The Interns on Bandcamp. Public is a 3-piece band that finds its roots in classic rock and Indie-pop. The band includes John Vaughn (lead vocals/guitar), Ben Lapps (drums), and Matthew Alvarado (bass). 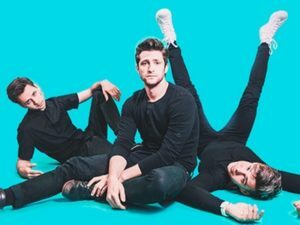 Public has gained notoriety through festivals like CMJ, Bunbury, and MPMF, in addition to supporting acts like WALK THE MOON, Twenty One Pilots, and Neon Trees. By submitting this film, I (“GLAHSFF Applicant”) agree that Public Members may use this film for portfolio and resume use. I understand that I cannot use Public music outside of the GLAHSFF unless both the Public Members and me agree to outside use of these purposes in writing. I acknowledge that I have credited the Public for the use of the Public’s musical stylings in this film. I understand that Public Members have agreed to credit me for any use of my film submission. I acknowledge that Public Members own all rights of every kind to the musical stylings, including copyright and all other intellectual property rights and that such rights shall be and remain vested with Public Members. I understand that Public Members acknowledge that I own all rights of every kind to the film and photo productions in my submission, including copyright and all other intellectual property rights and that such rights shall be and remain vested with me. GLAHSFF Applicant and Public Members jointly grant each other license to use their original works in the Golden Lion Awards High School Film Festival and/or for their portfolios and resumes.